With permission, The Beacon is archiving past issues of Matthews Record (also called Matthews News and Record and The Matthews News) articles online. Throwback Thursday articles will include relevant content still facing Matthews today. 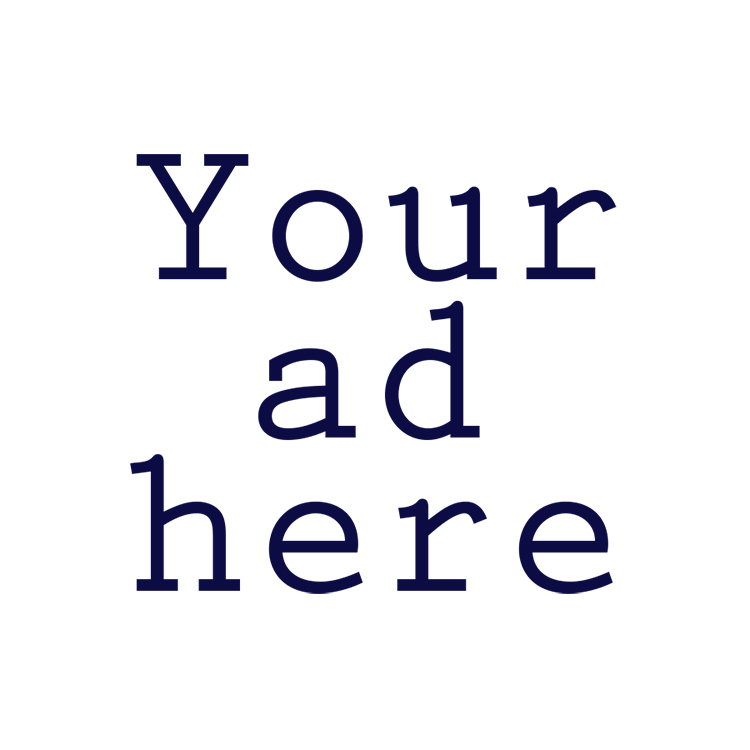 This story was originally published May 21, 2009 and was written by Janet Denk. 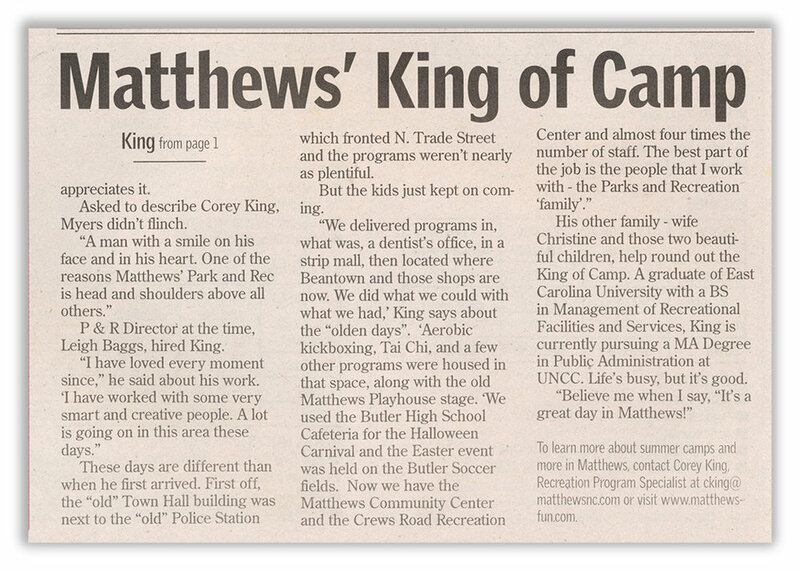 If you’ve been involved with fun and games in Matthews over the last decade, you’ve seen Corey King. You can’t miss him among the Parks, Recreation, and Cultural Resources Department. He’s the guy with the legendary smile. For a department whose mantra is, “we work, so you can play!” - he makes it look easy. “He works hard but always seems to be having fun,” commented co-worker Colton Marble. Maybe King’s Fun Factor has something to do with being able to integrate his family with his job. After all, who else better qualified to make playtime fun, than his children? His own - Gabrielle, 12, and Justin, 7, have grown up on accompanying their daddy on parade floats, runways, playscapes, and park missions. Since moving here with his family from Greenville, NC in 1999, he’s been one of the few park and rec staff members who actually has kids. He’s been gearing up with his coworkers to help a whole lot of other kids get planted in park programs, summer camps, nature, and art projects. “There’s a great sense of accomplishment after a successful program or event,” King said. His responsibilities involve working with the Public Works Department maintaining town parks, including everything from playground inspection to helping resolve park issues. He works on special holiday events, Summer Concerts and Movies, his office is at the Crews Road Rec Center, and he can be spotted at Matthews Alive Festival. Then there’s Camp FunShine and all those kids camps. Seems kids are one of his specialties. Public Works Director Ralph Messera, whose department crosses paths with King’s all the time, knows about that specialty for certain. 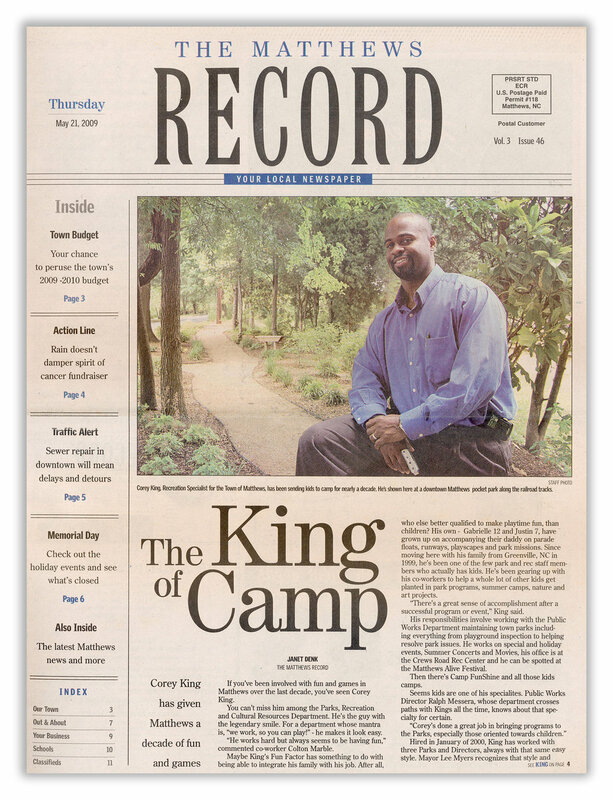 Hired in January of 2000, King has worked with three Parks Directors, always with that same easy style. Mayor Lee Myers recognizes that style and appreciates it. Asked to describe Corey King, Myers didn’t flinch. P & R Director at the time, Leigh Baggs, hired King. These days are different than when he first arrived. First off, the “old” Town Hall building was next to the “old” Police Station which fronted N. Trade Street and the programs weren’t nearly as plentiful. But the kids just kept on coming. His other family - wife Christine and those two beautiful children, help round out the King of Camp. A graduate of East Carolina University with a BS in Management of Recreational Facilities and Services, King is currently pursuing an MA Degree in Public Administration at UNCC. Life’s busy, but it’s good.